GAMES: Bear With Me: The Lost Robots will be available on 9 July, 2019! International Music and Sound Awards 2018! Directed by Ryan Colucci and Zsombor Huszka. SOUND: Callaway Flow Motion by Tyler Fairbank is Out ! Short Film audience award at Lund International Fantastic Film Festival. GAMES: Bear With Me - Episode Three by Exordium Games is Out ! SOUND: Faena Buenos Aires Flow Motion by Rob Whitworth is Out ! and announces the feature film. SOUND: Love Every Second of Sydney Flow Motion by Rob Whitworth is Out ! GAMES: Bear With Me - Episode Two by Exordium Games is Out ! SOUND: Once Upon a Time in Cappadocia by Rob Whitworth is Out ! SOUND: Faena Miami Flow Motion by Rob Whitworth is Out ! SOUND: Shanghai Forever by JT Singh is Out ! GAMES: Bear With Me - Episode One by Exordium Games is Out ! 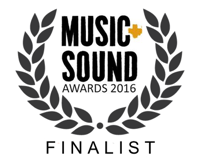 VIDEO: Table for Two is nominated for Best Sound Design at International Music and Sound Awards! Directed by Harrison Macks and edited by Kyle Kogan (pophouse productions). SOUND: Mohamed Bin Rashid Space Centre Flow Motion by Rob Whitworth is Out ! SOUND: SINGAPORE HyperZoom video by Geoff Tompkinson is Out ! "We've listened to all of the great entries, and yours definitely stood out." VIDEO: Samsung Smart City 2020 by Rob Whitworth has won an If Design Award ! SOUND: ATLANTIS HyperZoom™ video by Geoff Tompkinson is Out ! VIDEO: Dubai Flow Motion is Vimeo's Top Travel Video of 2015 ! SOUND: Istanbul Flow Motion by Rob Whitworth is Out ! SOUND: HyperZooming through Hallstatt by Geoff Tompkinson is Out ! GAMES: Bear With Me by Indiefferent Studio has been greenlit on Steam ! SOUND: Dubai Flow Motion by Rob Whitworth is Out ! GAMES: The Hive by Skydome Entertainment - Content patch 0.04 is now available on Steam ! SOUND: Barcelona GO! by Rob Whitworth is Out ! GAMES: Bear With Me won the BEST INDIE GAME AWARD at Reboot infogamer !